Learning about BigCommerce? We can help. 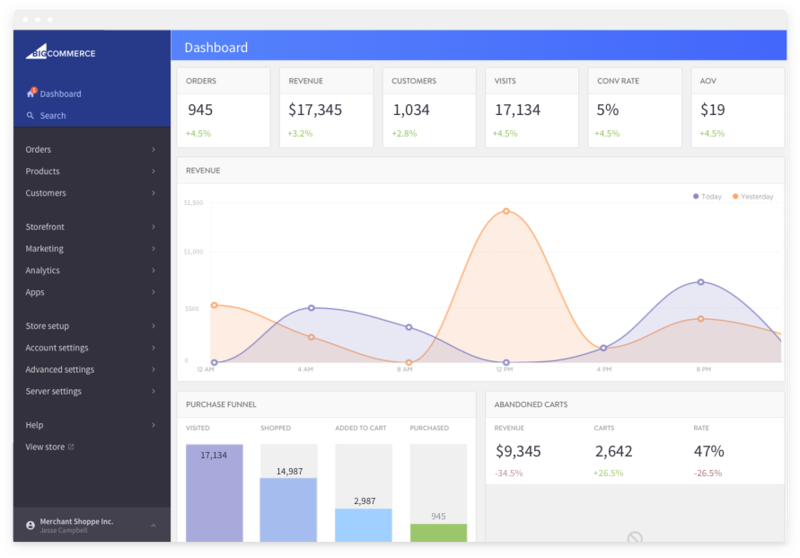 "A versatile e-commerce solution with advanced metrics and development tools"
Though many of the standard features in BigCommerce are easy to use, it still has the capability of running very custom websites with robust and advanced custom options. There are many templates that can help us to get a solid foundation going with our designs and store layouts. BigCommerce works with WordPress, so I can have the design tools of WordPress combined with the engaging and stable shopping experience of BigCommerce. BigCommerce is probably not among the lowest cost e-commerce solution, but once you get up and running, it can provide for the most professional user experiences your visitors may enjoy and appreciate. For certain industries and products, you may be able to achieve an incredible return on your investment very quickly. It's worth crunching to the numbers to see how soon that would be possible. BigCommerce provides a solid and reliable e-commerce platform where I can manage store design, product layouts and payment processing settings. They provide simple ways for us to initiate and activate online stores quickly with templates. We also benefit from BigCommerce's flexibility, which allows us to create highly customized experiences to suit and fit our overall user experience. We have had many sales through BigCommerce and the analytic tools help us to break down or sales data. "BigCommerce has the complete online store features we need"
BigCommerce provides a great number of innovative features to make businesses with online stores work better. It gathers the best practices for web design and e-commerce worldwide. The online store tools are easy to navigate and use. BigCommerce has a user-friendly design and very detailed search filters. Another thing I like is that BigCommerce has built-in selling tools across such many social media and auction platforms. I once faced an issue with filtering limitations. I needed to remove some filters, which was not very easy. I also wish there was such function such as product priority where you can choose what to show first. You should also be aware that technical support may provide a response a few days after your request. BigCommerce is a really effective platform for online sales. It is great for hosting, metrics, shipping and payment processing, multi-channel sales and many other needs related to e-commerce. I would recommend just about everyone to use this as an online store platform. BigCommerce has greatly simplified our ability to produce high quality online store experiences with smooth functionality. We can focus more on the visual design elements and less on the coding and other technical matters. BigCommerce seems to use the standard practices for the web design and e-commerce industries worldwide, which is very important for maintain a high performance level and customer experience. We can use one of many quality templates to make our initial design work and layout structuring much easier to do. "A solid online store platform with valuable features"
Using BigCommerce is generally very easy. The user interface has a clean design with nice spacing between different sections. The overall capabilities are suitable for simple and advanced stores. They have many tools that allow us to design, add products and market our store more efficiently. There are optimization tools that allow us to configure keywords and formatting to best suit our niche. We can add multiple users to allow for more convenient management abilities. Customizing the design to precise specifications can be challenging at times. There are slight changes that I sometimes want to make to buttons or images that float here and there, but there aren't always quick and straightforward solutions for updating those properly. I'll sometimes have to bring in a specialist to help me modify certain design elements. There are many online shopping platforms, but I'd recommend BigCommerce as one of the better ones. Many people I know haven't heard about them as much as other platforms like Shopify, but I think BigCommerce is the better platform based on the overall Shopify features I've read about. BigCommerce has been a great online shopping platform that we user for our business and many of our clients' businesses. We can easily manage inventory and basic marketing through the BigCommerce platform. BigCommerce has also been flexible enough for us to add custom components and third-party app integrations. BigCommerce has allowed us to launch professional quality online stores quickly with limited resources. "Electronic commerce sites with easy customization." Bigcommerce is one of the tools that best adapts to any type of website, electronic commerce, no matter what category you are in, or to which people you want to run your business, this tool allows the creation and implementation of all kinds of stores online, with all the necessary tools to put them into operation, in addition to simple design and editing tools, where any person with the basic knowledge of design, can let their imagination run freely, and create all kinds of sites from customizable templates, where you can edit the position of products, add multimedia files, of any kind, these features make this a very flexible tool, for anyone who uses it. I have had certain problems with Bigcommerce, when trying and implementing it with different external templates, which does not allow me, a correct disposition of the elements that will be used in the store, in our store, we made different test websites, where we implemented some different templates , and then redirect categories, to sites within our page with a touch of different appearance, that fits the desired category, this is where I have had problems with bigcommerce, since not with all the templates that I want, it has a good compatibility . A complete application for all types of electronic businesses that need to automate their sales. Our website is at the level of any electronic commerce in the world, with the same characteristics of recognized distributors with super online stores, with bigcommerce you have everything you need to be at the level of what the modern world demands, in terms of digital commerce, in this way we can edit our store when necessary in a quick and easy way, adapting to different seasons and trends of the year, with a couple of clicks on the templates that are being used. "Can make online sales and order management much easier"
There are many sharp and professional store templates for us to choose from that allow for a great deal of custom layout and design options. Since we get many visitors through mobile devices, we wanted a solution that worked well on phones and tablets. BigCommerce certainly works great on mobile in terms of both design and functionality. I like that we can use the BigCommerce platform to connect with many other sales channels like online shopping websites and social media accounts. I would like to see more precise account management and order filtering options on the backend. Though we can customize most of the design elements we need, it can be complicated to customize certain things with very fine detail. There are certain product and service types that have that don't quite mesh well with BigCommerce. I think you can depend on BigCommerce for online sales and reliable transactions. Other than just being an e-commerce solution, you can use the customer data acquired through BigCommerce for your digital and offline marketing efforts. BigCommerce has provided us with a platform for selling product and services online. We basically use it as a hub to process payments. We can link to it from various platforms and have all of our orders managed in a central location. We don't need to have a great deal of daily account management to make sure our transactions are processed properly. BigCommerce has been a dependable e-commerce platform with a solid customer support team. "Fast, easy to setup with advanced customization." What I like best is the ability to integrate apps easily such as Shipstation, which makes paying for labels, and printing, easier. I can also integrate a better review app such as JudgeMe. Customer support is responsive and feels like a powerful system. It also does not need as many apps to work great, unlike Shopify. Plenty of customization with very fine details. I dislike that the entry-level subscription does not have an abandoned-cart recovery. I also dislike that hosted banner images on mobile do not display in high quality.I contacted support about the issue and they got back to me quickly but the issue has not been fixed. Look into obtaining a paid service to further customize your storefront as the default themes are very simple. You will have good customization right out of the box, but I really believe it can be further improved to create more pleasing complex websites. For me, it solved having to figure out how to install a payment processor. I currently integrate Stripe and it was very easy to install and setup through Bigcommerce. I realized that I can also integrate multiple payment systems easily, allowing for more variety during check out for customers. "Mostly user friendly could use some improvements to help with efficiency "
I like that you can bulk edit and also finally delete old products off your site. I like the drag and drop feature when adding product pictures. The ability to search by name, phone number, email, or order number really helps when you don't know all the information for a customer. It can be tricky when they have a very common name or common word in their name, it can bring up products as well. I wish there was a way to filter your manually verified orders that are placed. Also the options settings could be easier. Wish it was easier to add a users new info to previously created account. ALSO wish we could see users carts not yet in checkout! I wish it automatically merged customers with matching addresses or email addresses. Make sure you listen to your employees when they say they've discovered something new on the site! My boss who built our site using Big Commerce doesn't know 1/4 of the stuff I've learned through daily use. Their customer support is top notch, if you have a problem they are more than willing to help out. Integration with Office365, is less than ideal. After switching to O365 for exchange, all of our order confirmation e-mails were getting black listed. This is due to a range of the IP's they use being black listed by SpamHaus. So I had to setup the MX and TXT records for demarc and use their mail server. They offer a great service, and provide fantastic support to back it up. The main issue would be if you are using Office 365 for mail/exchange. If so, then you currently won't be able to use it to send order confirmation e-mails. If you try, they won't make it out, due to being black listed. But if you setup the MX and TXT records for your demarc, then you can use their mail server and everything seems to work just fine. When sending out order e-mails through the O365 mail server, they get bounce backs because of a IP blacklisting. But going through their mail server there is no problems. Hi Jeff, Thank you for the kind comments about our customer support team, and we appreciate you taking the time to write a review. They gave you a 15 days Free trial No credit card required.after that their Standard Plan is $29.95 per month. you get unlimited products, unlimited storage, unlimited bandwidth, credit card and PayPal payments with no transaction fee! You are able to sell across multiple channels like Facebook, Instagram, and Pinterest. They have great SEO tools to help you. they offer extreme scalability for online stores. Easy to setup and start running. They offer some free templates. good (SEO). It can be a bit Complex terminology is unsuitable for new users. Limits are placed on annual online sales.There are no mobile apps available for on the go. The blog doesn't facilitate RSS feeds. its ok to try out. I'm able to sell across multiple channels like Facebook, Instagram, and Pinterest. "BigCommerce review is fair enough"
Bigcommerce is more expensive than rivals, the more you earn on it, the more you pay. Not only that, BigCommerce is a little biased by having more features only to the US, than the other part of the word. I feel others too deserve to enjoy the good things it has. Customization is challenging. It is not very easy to build with it unless you're a pro. Certain limitations also apply to it, unlike others. It can't be affordable. So if you've got the money, it's a go then. It's absolutely a viable and of course reliable option that you can go for if you want to start selling online. And of course, it's worth the price. It has contributed in a good way of building my eCommerce business. I got seamless integrations with it and it's absolutely profitable. "Sturdy platform, easy to use"
Big Commerce is a very easy-to-use platform that anyone can learn and use. Ability to manage more than 100 products, as well as 100 + promotional codes. It's simple and convenient to operate. The configuration of the interface is quite large, and anyone who knows CSS and HTML can easily edit the system. This gives you the opportunity to add the sensation of your company to the entire site and makes the transition from other CMS invisible. Excellent customer service, ease of use and a solid platform. They used to have an application on which I could watch sales and orders on my phone, but they do not offer it anymore. And I would be very helpful, not enough of this. After extensive search and marketing research, I chose BigCommerce and is very satisfied with my decision. This seems to be a very good platform for beginning and growth. There are several levels available, and the platform can grow with your company. Bigcommerce allowed me to create a more professional website without spending a lot of money. "BigCommerce is great, but not for everyone"
While Bigcommerce is not the best platform out there, in my opinion, it get the job done for most. There are too many levels to the platform. Out of the box they offer a lot of functionality to list and sell products but managing that data is whole different animal. If Bigcommerce was not so app (third-party) dependant it would much better. In order to manage the data you have to use multiple third party apps to run your business. Two things that you can count on when using bigcommerce is that you will need an accounting platform, which you would need almost any system, and a shipping platform, if you are selling physical products. While there are a lot of ecommerce systems in the market. BigCommerce does solve a number of the basic to advanced problems that come with ecom systems. My recommendation for using this platform would be to have some sort of ERP system to run your accounting and manage your sales from then using something like shipstation connected to the ERP to manage shipments. This will make your life much easier. One problem that bigcommerce solves is the structure of the data within your ecom efforts. Information that search engines need to list your business is found in the right spots, provided you have filled the information in within the system. I am speaking to SEO and when some searches your business, how the search engines display your result within them. Very full functioned, has tons of options. Of all the platforms I have used it has the best variety of options. The price overwhelmingly was the part that turned me off. Lots of value to be sure, but maybe not the best option for a store that hasn't been established for a bit. There is a bit of a learning curve in getting it to do what you want, but the support is really top notch. Lots of options from digital products to setting up shipping options easily. Ties in really well to programs like MailChimp making it super easy to keep customers updated on sales. This by far had the most features, and when I did get sales it was easy to work with. But at the end of the day I was not doing a high enough volume of sales starting out to justify the price. I wish that there more of an in-between with features/price for lower volume stores starting out. ""Quick, simple to setup with cutting edge customization.""" I like that you can mass alter and furthermore at long last erase old items off your site. I like the intuitive component while including item pictures. The capacity to seek by name, telephone number, email, or request number truly helps when you don't have a clue about all the data for a client. This is because of a scope of the IP's they utilize being boycotted by SpamHaus. So I needed to setup the MX and TXT records for demarc and utilize their mail server. I wish there was an approach to channel your physically confirmed requests that are set. Additionally the alternatives settings could be less demanding. Wish it was less demanding to add a clients new data to recently made record. Reconciliation with Office365, is not exactly perfect. In the wake of changing to O365 for trade, the majority of our request affirmation messages were getting boycotted. After broad inquiry and promoting research, I picked BigCommerce and is exceptionally happy with my choice. This is by all accounts a decent stage for starting and development. When conveying request messages through the O365 mail server, they get ricochet backs in view of an IP boycotting. In any case, experiencing their mail server there is no problems.Bigcommerce enabled me to make an increasingly proficient site without spending a ton of cash. "Wonderful platform with which nice to increase trade." I can create my site as I want. I have the most open control of payments and shipping. The opportunity to drive more movement, convert more guest and with no problem selling on plural channels from a single position. I don't have any bad problems with this software. I guess everything works great. With this platform, you will build an amazing online store by using the latest features. You will have the best experience for search rankings, quicker page loads and higher converting. Also with analytics system, you will see your important metrics. For us, it is the big time saver. Great to have full control the online sales way of our company. With this platform, we can increase trade, upgrade our business and try to new channels. It is really easy to study and designed to grow with our company. "BigCommerce has grown my business by leaps and bounds"
The variety of features available, the excellent customer service and the constant enhancements offered by this platform. BigCommerce keeps the consumer in mind and works hard to help its users to run a profitable business. It is very competitive and stays on top in the market. it is not being able to send a message to the customer in the shipping notification email/message. This feature was previously available but with one of the enhancements it became no longer available. One is able to send a message via the printed packing slip but unfortunately I do not utilize this feature. Give it a try. You will not regret it. The learning curve is very short and you will be pleased with the excellent customer service and the progressive thinking shown by the BigCommerce software. Being able to get my products before customers without the need for a mortar and brick store. BigCommerce has allowed me to sell my products nationwide and I have benefited majorly from the many features the platform offer, the excellent customer service and the ongoing enhancements to the platform - there is always something new and exciting with BigCommerce. "I'm glad I made the switch"
BC is more e-commerce focused for businesses at any level. From small start ups to large scale companies. The growth possibilities are endless from multiple selling platform integrations, email lists, customer accounts, wholesale accounts, coupon codes for customers, customer driven product recommendations, professional looking site, AMAZING customer service, and the list goes on. The analytics alone are amazing. I feel as if I am looking at google analytics. They are very thorough and have thought of almost everything. The price is high ,but honestly, I've never been happier with my website. I also would love to have an email address for customers that leave feedback. I believe it's important to respond to both positive and negative reviews. They say you get what you pay for. Very true. I made a huge jump in how much I paid when I switched over, but honestly I should have done it sooner. It had every feature I needed for an ecommerce business. I now have endless options for growth. There are many features that I don't need currently, but have the option of growing into later without paying more. "The top choice for eCommerce platforms - LOTS of integrations"
There are quite a few unique themes to choose from. The designers and community have really made some great looking sites to represent my brand. Customer support is absolutely amazing. They are dedicated and knowledgeable about the best options for me, not the most expensive. And speaking of cost, BigCommerce is insanely scalable. The platform can handle a huge number of orders. Think about ALL the things you want to do: Sell on Amazon, sell on eBay, sell on etsy, sell on Facebook, Instagram, Pinterest, newsletters, make ads, show reviews on the site, have a live social media feed... the list really is endless. If you can find all of those elsewhere (spoiler: you can't) then go for it. You'll come back to BigCommerce. To be honest, their customer service is incredible! Creating a hub for education of product using partner add-ons has been incredibly easy with the vast number of 3rd party partners. The options are nearly endless and the integrations keep growing. Just got notified today about selling on Instagram soon. Very proactive. We've been able to generate leads through our efforts with Big Commerce, as well as selling on social channels. Love this company. "Easy to use platform with excellent integrations & capabilities"
I love the ease of use paired with the professional appearance. I was able to set up my store and learn the back end in a matter of a couple of hours. I was able to get started without the need to learn all aspects and utilize additional features as I found a need. The new ebay integration could use some functionalities to make listings look better. I am exploring options to apply templates etc. Was using inkfrog app which has its benefits (visual) but also weaknesses (problems syncing) - looking forward to getting the direct BigCommerce Ebay channel fully functional. I especially love that this platform is expandable. You can start small and pay only for what you use. When you grow, only then do you pay more. You also have a plethora of add-ons at your disposal, both free and paid. I am currently integrated with Ebay and considering expanding to Amazon because it is just so easy! I am able to let my online store 'run itself' and when I have an order, the ease of getting it filled and shipped are wonderful. "BigCommerce is excellent at getting you started." They made it easy to start an online business. Their how to's showed pictures and gave great detail. They customer service is great. They have a community where I can ask questions of other customers and several help topics I can look thru. They also have a BC University that helped me learn a lot about how my store works and how to help in marketing it. I have some issues with customers only being able to use one coupon code at a time. And I'd like a little more freedom in the blog section. I can't schedule my blogs and I can't use it for ads, etc. This makes it a little difficult when I'm told that I need to draw traffic to my blog which is on my store site. I am having some problems connecting my merchandise with Amazon. I've had customer service look into it and they aren't really sure what the problem is except that I show variation in clothing sizes. Which is a problem because we mainly sell clothing in different sizes. They have a great price for small new stores. It's worth trying for how cheap it is. You can always easily upgrade. We are online only and had no idea how to set up a store. BigCommerce helped us set it up and make it work great as look great too. They are constantly upgrading and making changes based on their customers needs. Like adding Amazon, Amazon Pay (which people love) and soon, shops on Instagram. I highly recommend BigCommerce. It's so easy to use, and really helped me when I started building my store. I had started off on Etsy and really wanted to branch out and create my own store. I didn't know the first thing about how to start my own, and BigCommerce made it extremely easy to figure out. The layouts/themes they have available are easy to edit, and you'll have your store up and running in no time. BigCommerce was the most reasonably priced that I came across, and they offer so much more than other places that I researched. I recommend them to everyone I know who is a small business owner, and I am completely satisfied with my experience using BigCommerce! I have not disliked anything so far, and I've been using it for more than a year. You will not be disappointed! Reasonably priced and easy to use, BigCommerce is definitely worth it. I love the way their stats page is set up, it makes it so easy to learn more about my sales and customers. "Most Simple Yet Full-featured eCommerce Solution"
The ease of use and the ability to customize the design or the options to do exactly what I need. BigCommerce offers easy to customize theme files that allow me to edit exactly what I need easily and quickly. Lack of free themes after the update to Stencil from Blueprint. Some ecommerce solutions like Shopify offer their customers more free themes to choose from which can then be customized. While BigCommerce does offer online customizations without the need for any html more free themes would be great. BigCommerce is the way to go for a professional ecommerce site that gets sales and helps your business grow. Other platforms are hit or miss with many features. We struggled to find a way to sell our products online. Our products are highly customized and require a lot of options and swatches, as well as rules, BigCommerce has allowed us to sell online easier than any other platform has. After trying Squarespace we quickly realized it wasn't made for robust items and then we tried BigCommerce and we were blown away. "Best Ecommerce Platform - Period!" Unlike others, Bigcommerce does not charge transaction fees nor do they required you to use their internal merchant credit card provider. Their support is fantastic and it's 24/7. I track my site with "Site UpTime" and BC is NEVER down. I mean never. At this point, we are extremely happy with the services that they provide. Vetting your App's. I would like to see a better vetting of App's inside their marketplace. Some of them are not ready for PrimeTime. It's not a "Dislike" but I would like to see a Native Mobile App integration from BC. We looked long and hard at: Shopify and Volusion. BigCommerce won out with us because of the "No Strings Attached" programs. No Transaction fees, No Merchant Processing Fees, etc. BC as a company is definitely on the rise. They have fantastic transparency and are open to new ideas. BC allows us to have a reliable and seamless ecommerce solution for our customers. It has been one of the main factors in our companies sales growth. "Fits my business pretty well"
Automatic synchronizing with FaceBook, Pinterest, Square. Templates for subscription only have email and since it's not "required" (in BC) to have first and or last name as well, templates exclude them and don't provide an easy way to include them without hacking them. On one template I was able to change a little code and include them, but not on my second one. All the experts say that capturing at least a first name and using that in the newsletter, is a way to personalize the message. This lack of ability to easily include names with subscribers doesn't make any sense to me at all. In addition, all products I've tried do not have a good strategy for one of a kind merchandise. There should be a better way to organize by collections or better yet, a way to organize by a user-supplied criteria. I find it challenging to present multiple images of an item, yet include it with other items without repeating information. (For instance, I may make 20 pairs of pearl earrings, but each is slightly different, not to mention the pearls themselves are different sizes, shapes, or colors. A customer is going to purchase a specific piece based on the appearance, size, hook, etc. However, they all can be described in a similar fashion.) Research says google punishes you for repeating the same information over and over again, but the structures in the industry don't support the one-of-a-kind model easily. I always seem to be kludging something to make it work and then it can be awkward to the shopper. (In the example above, I ended up putting a group of them together as options, but this requires additional descriptions and photos need to include the item number in the corner of the picture.) I think all products face this challenge, but don't want to invest in a solution because as a percentage of their business, we [one-of-a-kind artists] are only a small percent of their income. I am a one-person proprietor and am my own technical team. Since every product has areas for improvement, Big Commerce is a good solution. Most of the time, I can get what I want working. Do your homework on which features are important to you for the cost. BC is worth it for me. I do have a few things I wish they would improve, but all other products I used were also similarly challenged. Online store for one of a kind handmade jewelry. Professional site that I can maintain. Hoping synch with FB, Pinterest, and Square will produce online customers. So far, not yet. Being a large application store, I can add more advanced tools if needed like auto responders, creating coupons and a secure payment method among others. It is easy to use and setting up your online store is not even time consuming. Their support agents are there to assist you in any way possible and BigComerce has an excellent team which is taking care of hundreds of store owners throughout the world. I don't have many complains from BigCommerce. However, I think the number of themes to choose from are quite limited and it can be a problem if the theme does not match with the product. Along with this, one major disadvantage is the lack of application on the Play store or on the Apple App Store so owners are constrained to not manage their store while on the go. I would recommend this to businesses who would like to expand. BigCommerce is the best online market place to sell your products with almost no investment. Increase your customers and hence your sales just by going online. "I would highly recommend BigCommerce for small business"
The best thing about BigCommerce is that it is user-friendly and the support staff is always available via chat. When I have questions (which happens a lot :) it's great to know that there is a REAL person there to help. It also plays well with other platforms such as PayPal, etc. I would like them to over regularly scheduled user workshops (webinars) for beginners to advanced users because I really think I'm not using as many features available to me as I should. Some features may need to come from a 3rd party partner and they can be pricey at times. Also, BigCommerce has lots of templates compared to other platforms. We needed a business e-commerce that had great layouts that were easy to adapt based on our needs. We have custom products and it would be very hard to set up our products anywhere else. Simplicity, I came from being a tradesman into the online world of selling with no technology skills into e-com, the Bigcom platform made this a very easy transition and as they have grown I have not had to become an IT specialist to keep up. Duplicating Products, when duplicating a product that is mapped to Google Shopping, if you change its category without changing the google shopping to the new category and try and save it will delete all changes you have made, really frustrating when dealing with multiple options. The big hardware stores only supply a limited number of brands, often these are inferior and more expensive than quality products from small independent distributors, we give these distributors a voice and in so give our customers genuine choice, regardless of their location. "Easy to Use Plug-Ins, Excellent Support, Best Site We've Had"
The entire site is easy to use. It is the first thing we train office staff on, and is our main focus as it is our own storefront. In our capacity, it is nearly impossible to mess up and integrates with multiple APIs. There are some features that really should come standard with a site like this (though we can almost always find a suitable add-on/plug-in). One of these features being the ability to upload files for customers to download. The bulk imports and exports can get a bit messy as well, but a little practice will overcome that. BigCommerce is good for those wanting a professional-looking site and who are growing. We grew extremely fast and now host 3 different sites with BigCommerce with very few issues. Support is fast, knowledgeable, and personable. The more we try to push the site to do what we need it to do, the more we are pleased with it. We came to BigCommerce from a different platform that was having a problem growing as fast as we were. It was glitchy and turning customers off of our site. The few problems that we have had while using BigCommerce have been handled right away and do not repeat themselves (another common issue with other sites). I like the preset themes that are easily customized. There are lots of options and anyone should be able to find one that suites their needs. Anyone can customize one of the preset websites. Image upload speed is a little slow. Also when deleting an image it takes far too long for such a simple task. And no, it's not my computer. Also, there are occasional internal issues with the Big Commerce platform. Sometimes I cannot login or the system times out. Do it. Very easy to use. We run our website on Big Commerce. We used to primarily use eBay but now with Big Commerce we are producing more revenue by avoiding the eBay seller fees. Also, with the integrated Ales and Shipping app, it is super easy to manage my product feeds. "very affordable and has lots of customization"
their monthly plans are very affordable and has lots of customization. Unlike Shopify, you do not need to purchase extra apps that are (in my opinion) essential for sellers. Many features and customer service is easy to reach and very helpful. I find their options (variations, attributes, or customization options, however you like to call them) a little cumbersome to use, but it could be because I'm not using it correctly. If you like simple and pretty, Shopify may work for you. But if you want more features for your account, BigCommerce is a better value. Like all other platforms (I've tried Volusion, Shopify and now BigCommerce) It's not perfect, but they do continue to make improvement, which I appreciate. "Great mid-tier ecommerce platform for growing companies"
Bigcommerce customer service is beyond great. They're all based out of Austin, genuinely cool to talk with, and keep hunting down the bug/glitch until the problem is solved. Many features simply require one click, and you're on your way! Easy to use! Some basic things can take a long time to fix. I.e. it took months to fix the Sales by Category report, which seems like a basic ecommerce function. Bigcommerce offers a free trial though which you can test out product creation and integration setup. Try it! See what happens! Try Shopify as well! Basically, we use it as our main brand's ecommerce platform to support an international brand. We've reduced transaction costs substantially, quickly scaled our ecommerce product line, and tested out new products. "Un programa increíblemente útil y maravilloso"
La variedad de funciones disponibles, el excelente servicio al cliente y las mejoras constantes que ofrece esta plataforma. 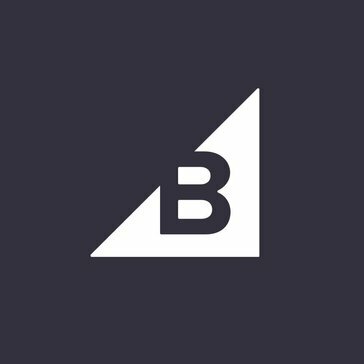 BigCommerce tiene en cuenta al consumidor y trabaja duro para ayudar a sus usuarios a administrar un negocio rentable. Es muy competitivo y se mantiene en la cima del mercado. La nueva integración de eBay podría usar algunas funcionalidades para hacer que las listas se vean mejor. Estoy explorando opciones para aplicar plantillas, etc. He tenido que usar la aplicación inkfrog por sus ventajas (visuales),pero también tiene sus desventajas (problemas de sincronización), por lo que estoy esperando impacientemente que el canal entre BigCommerce y Ebay sea completamente funcional. ¡No se decepcionará! A un precio muy razonable y además es fácil de usar, BigCommerce definitivamente vale la pena. Puedo permitir que mi tienda en línea 'se ejecute sola' y cuando recibo un pedido, la facilidad de obtenerlo y enviarlo es maravilloso. I Like that software it's because I like to customize my site, manage shipping and payments, and list my products with no problems. Increase sales which is really good. Much safe my time. That program doesn't have any negative things. Works good, I also can receive support all the time. They have Live Tech Support and on-line support system which is works 24 hours. Very nice to work on it. So easy. Plus its works for you so good.Also you can find tools to scale your business, and much more.For sure you will feel like a fish in the Ocean. For my business helps me to drive more traffic, convert more visitors and seamlessly sell on multiple channels from a single location. To get lovely themes to build an glamorous online store. "Like a bad break-up, it's something you need to just stay away from." You don't need to install a plethora of additional apps to get basic functionality for your store. BigCommerce has all the characteristics of a sluggish multinational corporation, and that is sad because they're nowhere near the size of one. Like anything in life, there is going to be a bucket of people that love something, a bucket of people that are in the middle and a bucket that hates something. We're in that last bucket. In the space of a couple of weeks, BigCommerce took a brand champion and made them a brand detractor. If you're happy with poor support, then BigCommerce is your solution. We didn't solve any business problems with BigCommerce, we only had problems created. The only benefit that I can say we had with this platform was that our page load times were much better than the prior vendor. "A relatively easy to use platform with advanced capabilities"
Makes managing a store as a single person much simpler. Quite easy to set up a store and to manage it. We have the ability to edit templates. It gives us lots of flexibility, resources and power to design how our online store looks and works. Easy to implement and train people without much computer skills or daily management. Maybe needs a better tools for managing trade and wholesale businesses. It can take a lot of time and work to build a top quality BigCommerce site. Nothing much to dislike overall. Everyone at WC is so helpful and willing to help answer your questions. They have a powerful system that's easy enough for a single admin to control and customize. Time previously spent taking and processing orders can now be allocated to other tasks. Quick product uploads, tying orders and product pricing. We can offer so many things to my customers that are not available on other platforms. "Very easy to use with clean layout options"
I don't recall there being a thorough tutorial for the website. I think that would make he design process a little easier to know what steps you should take to efficiently and effectively design a website. I wasn't sure which text boxes were visible to the consumer and which ones weren't. I had to go back and make all the titles and naming conventions consistent. Before hand we were using a GoDaddy and this website looks 1000 times more professional and user friendly.